New companies joining the NFC standards body include Acer, Bell Mobility, China UnionPay and Lenovo. Qualcomm has upgraded to sponsor level and Kovio to principal level membership. 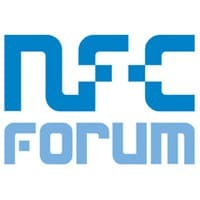 The NFC Forum has added 22 new companies to its list of members and announced that Qualcomm and Kovio have upgraded their membership. Qualcomm has upgraded its membership from principal to sponsor, the highest level of membership which gives it a seat on the NFC Forum’s board of directors, while Kovio has upgraded from associate to principal. “We firmly believe that NFC technology drives seamless user experiences in the mobile, computing and consumer electronics markets and look forward to advancing that goal with this expanded role,” says David Favreau, vice president of product management at Qualcomm Atheros.